The first Bermudian edition of the highly successful International Cyber Risk Management Conference [ICRMC] was held over two days last week at the Hamilton Princess Hotel & Beach Club in Bermuda. A total of 206 delegates registered for the event including cyber risk professionals and industry executives from across Canada, the United States, the United Kingdom, and Bermuda. Almost half of the delegates consisted of C-Suite level executives. Delegates shared experiences and best practices that will help them manage the risk and impact caused by a cyber breach and discussed risk trends and challenges faced within the insurance industry as it pertains to cyber risk. Cyber insurance featured prominently in the conversation, ranging from pricing to product trends and evolving buyer needs. The discussion also included how blockchain and artificial intelligence [AI] can be used in cyber risk management, as well as a perspective on Bermuda’s expertise and offer as a regulatory jurisdiction and center of excellence for insurance. 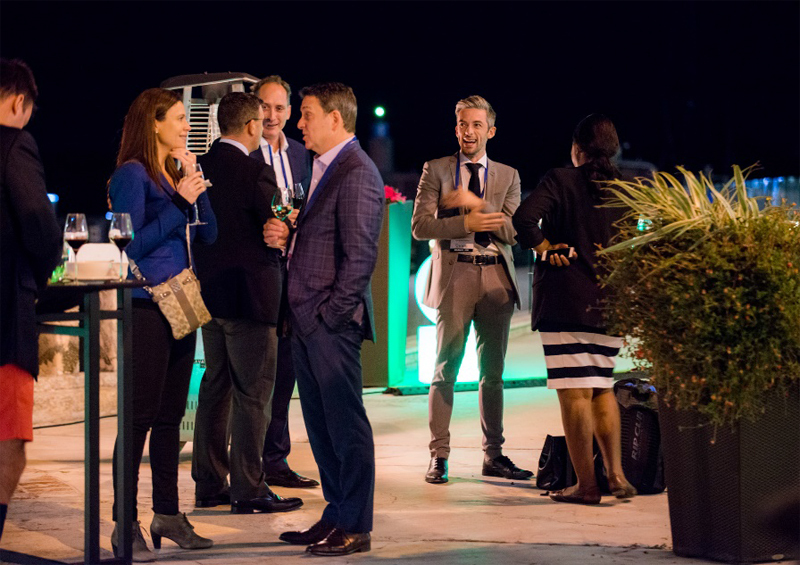 “We are thrilled with the feedback we’ve heard from delegates on our first event in Bermuda. We are grateful to the BDA for their support, and to the many industry leaders for adding their expertise, and perspectives,” said Joel Baker, President and CEO of MSA Research, the producer of ICRMC. More than 19 companies participated as sponsors or supporters of the event including the Bermuda Business Development Agency [BDA] as the Signature Sponsor, as well as Deloitte and Slice Labs as Platinum sponsors. Other sponsors included major insurance companies, security firms, technology companies and law firms, along with several Bermudian insurance-focused associations. “The speaker list was extremely talented – with some of the speakers having spent a portion of their careers doing Cyber Risk Management for the Secret Service, FBI and the Department of Justice. The in-depth stories during the socials added another level to the event and I learned as much there as during the sessions. I have already penciled in December for the next ICRMC,” said Darius Delon, President of Risk Management 101 and Past Chair of RIMS Canada Council. ICRMC will return to Bermuda December 4-6, 2019.